StorMagic SvSAN is a virtual storage appliance (VSA) that provides a lightweight, highly available shared storage solution, with no single points of failure. It is typically deployed on to two servers and performs synchronous mirroring between the servers. 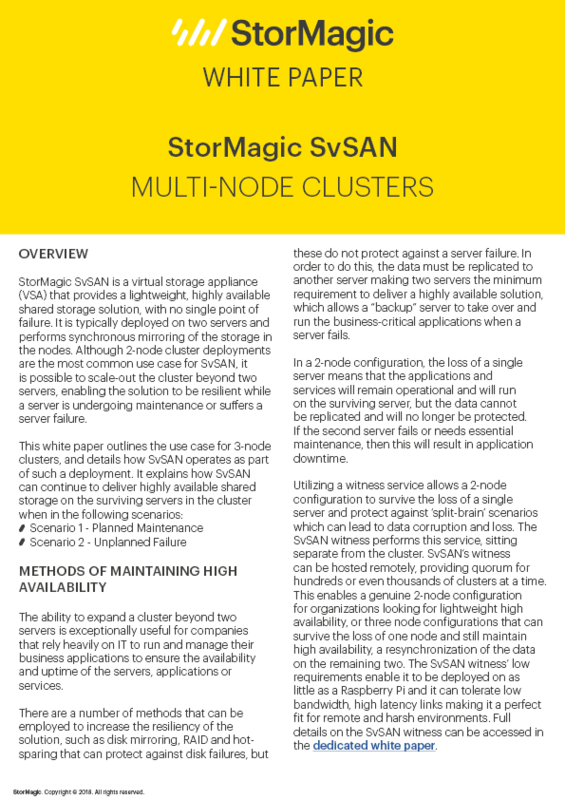 Although 2-node clusters deployments are the most common use case for SvSAN, it is possible to scale-out the cluster beyond two servers, enabling the solution to be fully resilient while a server is undergoing maintenance or suffers a server failure. 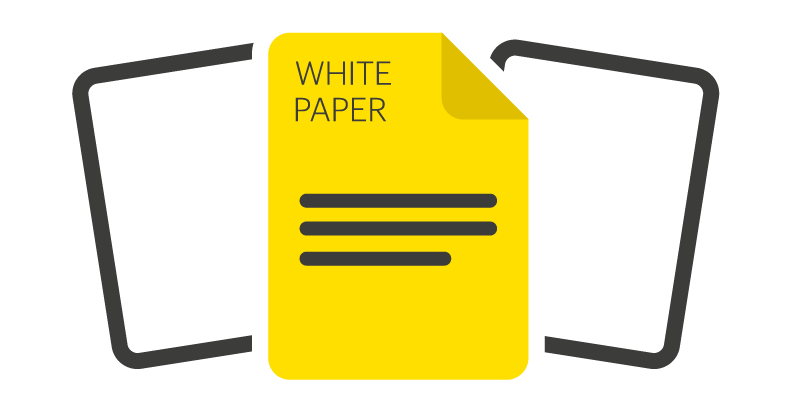 Complete the form below to read and download the full white paper. By clicking download above, you consent to allow StorMagic to store and process the personal information submitted and for StorMagic to contact you via telephone and email in relation to the content requested. StorMagic is committed to protecting and respecting your privacy, and we’ll only use your personal information to provide the products and services you requested from us. You may unsubscribe from StorMagic marketing communications at any time. For more information on how to unsubscribe, our privacy practices, and how we are committed to protecting and respecting your privacy, please review our Data Protection Policy.